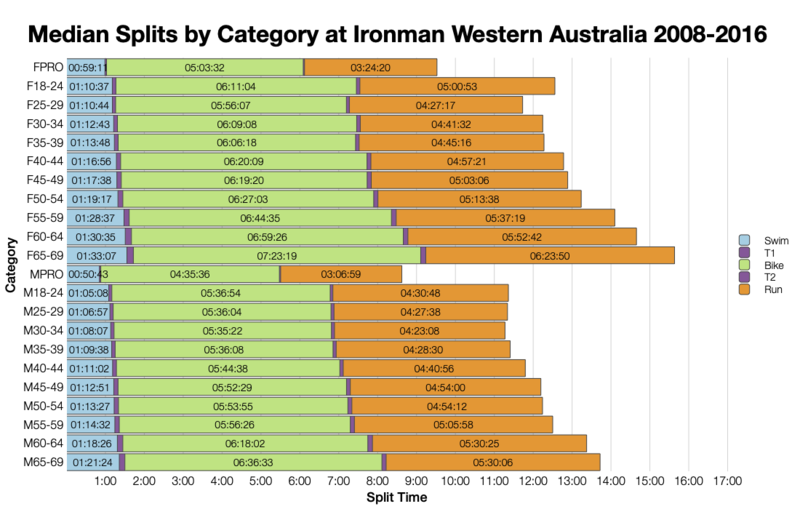 The final Ironman race of the 2018 season is Ironman Western Australia. 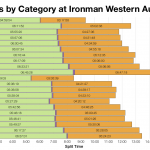 A long standing race which drew a field of over 1,000 athletes with 65 age group Kona slots on offer. This year’s race looks to have been quite typical for the Busselton course with times only slightly slower at the median. I’ve excluded 2017 results from this analysis due to the cancellation of the swim. The distributions from this year’s race all trend subtly slower than those from 2008-2016. 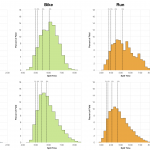 Individual differences are relatively small, but add up to a 15 minute overall difference at the median. 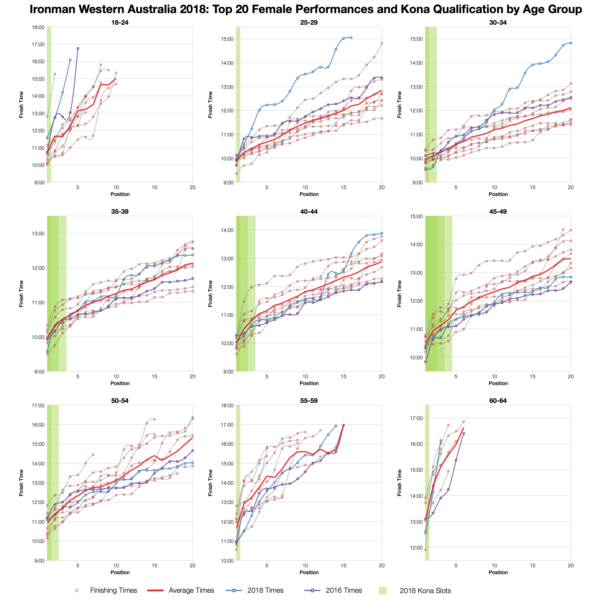 At the front of the pack, considering those in the top 5%, there is little difference in the times compared with past races. 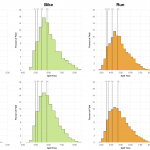 DNF rates at this years race look to be typical for the course and comfortably within range of other years. Remember the red rows mix both DNS and DNF numbers into the swim and overall DNF rates, blue rows are purely DNF numbers. 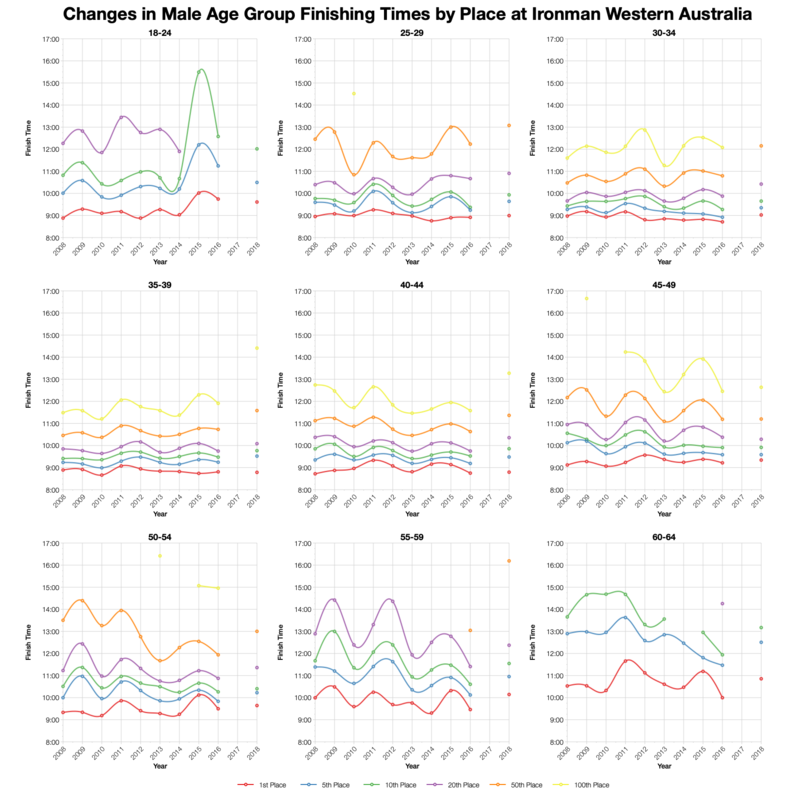 Comparing age group medians shows that this year’s race does trend a little slower at the medians. 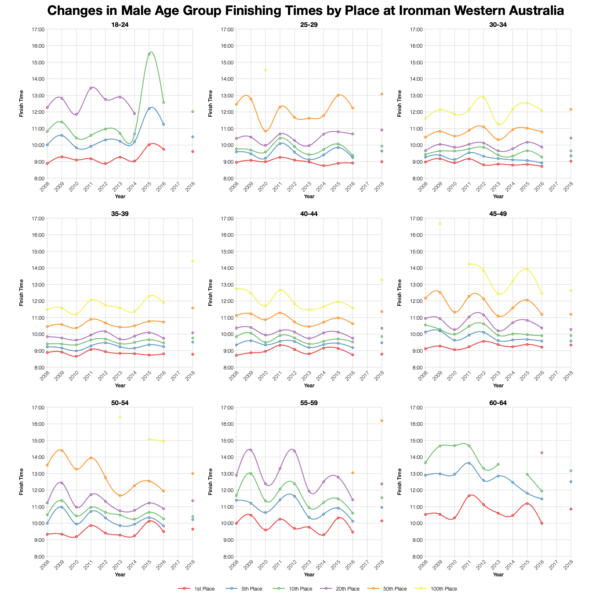 There’s some variance over age groups as the differences tend to be very small in each discipline. Based on the start numbers I’ve calculated the slot allocation using what I believe to be the current method. Roll down will affect final qualification times. You can compare this with other Kona qualification races on my Kona qualification page. 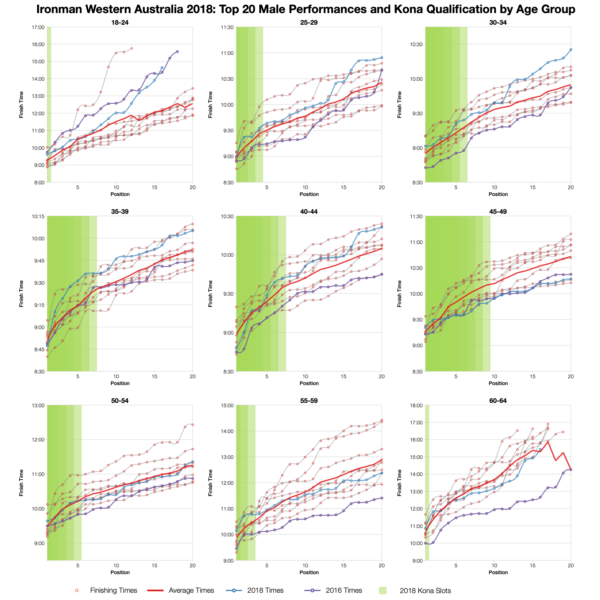 For the most part the age group top twenty times trend close to the average line. 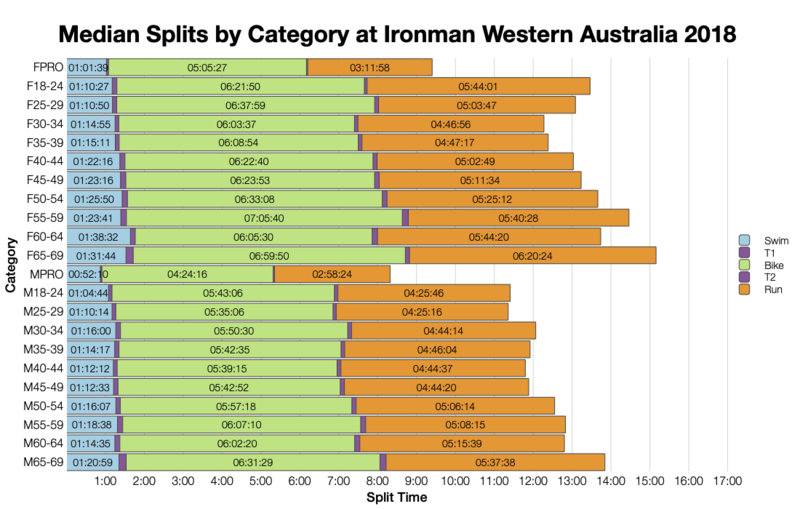 This is most consistently true at the very front – the Kona slot places. There’s variation across age groups, but for the most part times were consistent with previous qualification at specific places. The extra slots on offer lifts the final qualification time for some age groups though. 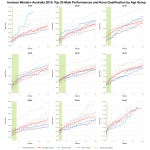 You can access a spreadsheet of the full results from Ironman Western Australia 2018 on my Google Drive.